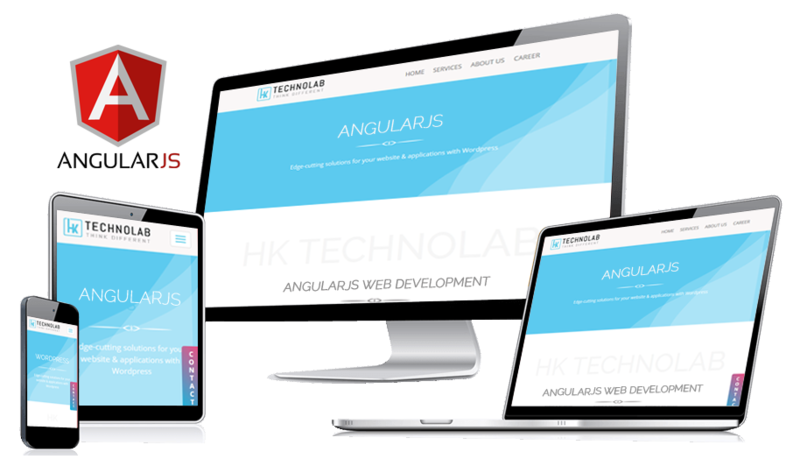 HK Technolabs is the trustworthy AngularJS developers! AngularJS is a prominent part of these JS technologies. It is a structural framework to create dynamic web pages and lets you extend HTML syntax. With AngularJS Technology you can create mobile apps for small, medium and large size businesses. With the technology, our developers create the most interactive, robust and scalable web designs to leverage all your business needs. The robust AngularJS platform simplifies the development issues and helps the developers to yield the high-tech business solutions. So gear up to hire AngularJS developer from HK Technolabs for your next mobile app. For presenting the most recent data or broadcasting announcements to all the web’s users, real-time communication is a crucial feature. A website is nothing until it has some amazing effects to enhance its functionality. WIth AngularJS framework our developers make your website look real. Why make your website look dull when you can make it do more with AngularJS. We help you develop data analysis tools to make your website more interactive. Any added theme or plugin can enrich the functionality list of your website. We let you develop all plugins & themes with AngularJS to increase flexibility. We have a very easy work pattern and with this ease, we create the most versatile AngularJS Mobile Applications giving the best experience to the users. We understand the requirements of each industry, thus we offer the top class AngularJS Enterprise App Development Solutions for your business. Featureful and attractive applications need to be well maintained, thus requires constant support and optimization to deliver the best to your customers. For any application the two most important phases are design & development, we not only build ideas we build dreams and let you explore your business worldwide.